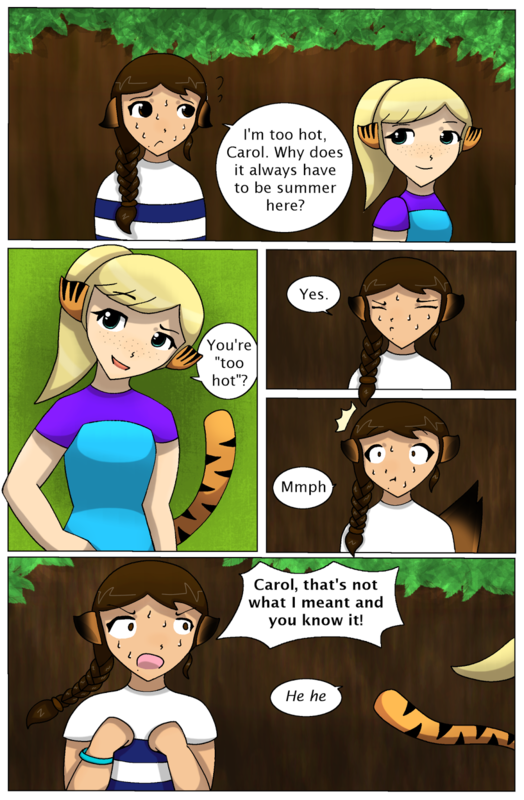 Adelaide: I'm too hot, Carol. Why does it always have to be summer here? Adelaide: Carol, that's not what I meant and you know it! My friends tease me whenever I say this in real life. Does that happen to you? Probably not. Another thing is that Maya has brought to my attention the fact that some people actually can't raise one eyebrow! I can, so I thought this was ridiculous. I asked my other friends if they can do it, and Carol, Maya and Chanel can't; Sarah and Camilla can do it with lots of concentration and a mirror; and I can do it in my sleep. So, this comic page may be slightly inaccurate.